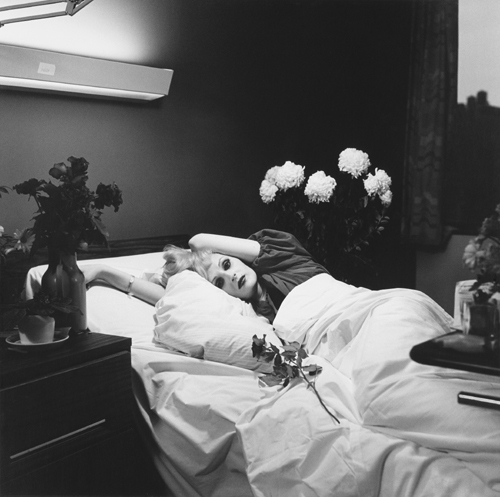 On March 21st, 1974, the actress Candy Darling died of cancer in New York City at the age of 29. Darling was born James Lawrence Slattery, in 1944, in Queens and raised by her mother, Theresa Phelan, in Long Island. Known as 'Jimmy' during the day, Darling would escape as 'Candy' at nights to nite clubs in Manhattan before moving to Manhattan to live as Candy Darling full time. Despite dying at a young age, Darling had an accomplished acting career on stage and in film that included roles in Klute with Jane Fonda, Glamour, Glory and Gold opposite Robert De Niro, Women In Revolt directed by Andy Warhol, and the Tennessee Williams' play Small Craft Warnings, at the invitation of Williams himself. At Darling's funeral her birth name was never mentioned by the minister or by eulogizers and was heavily attended. Her brother Warren also attended but was shaken at the sight of Darling as a woman and unaware of her acting accomplishments. Darling's mother later recalled, "I knew that I couldn't stop Jimmy. Candy was just too beautiful and talented."